Syfy has announced that it’s developing a new show based on Image Comics’ popular adventure series Five Ghosts. 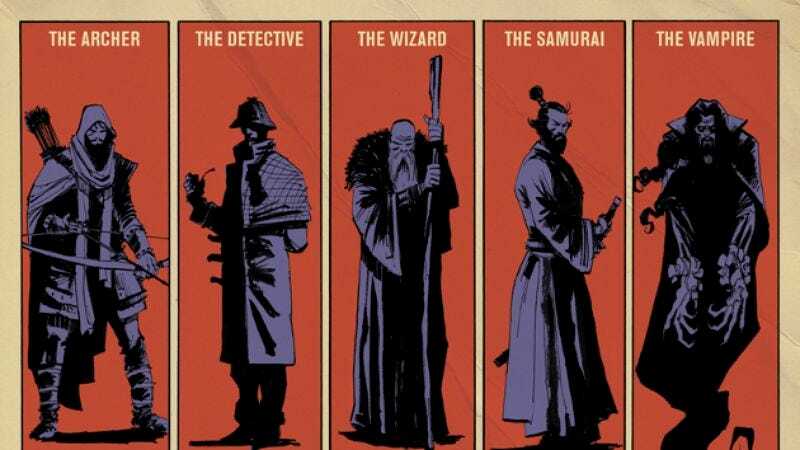 Frank J. Barbiere and Chris Mooneyham’s comic series, which debuted last year, tells the story of Fabian Gray, a treasure hunter who’s able to channel the powers of five famous literary characters: Robin Hood, Dracula, Merlin, Sherlock Holmes, and the swordsman Miyamoto Musashi. It’s like Reading Rainbow but with more murders—a pleasantly bookish premise for Syfy, a TV network that spends most of its time mashing up seagoing predators with weather formations. But it does invite the question: Is five ghosts really enough? After all, what adventurer wouldn’t want the accounting skills and obstinacy of Melville’s Bartleby The Scrivener, or Tom Sawyer’s deadly ability to manipulate other people into painting fences? Why, the potential cast of characters for Five Ghosts—or whatever number they end up settling on—is as vast as the shelves at your local library! Head down there and check some out, but remember that BarracudaBlizzard is on in a few minutes.